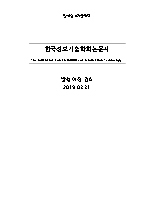 송혜정, 최광원, 권경훈, 이용식, 김유섭, 김종대,(2011).밀도 프로파일 추출 방법에 따른 염색체 분류 성능 분석.한국정보기술학회논문지,9(2),171-177. 본 연구는 염색체 밴드패턴 특징을 기반으로 하는 염색체 분류시스템에서 밀도 프로파일 추출 방법이 분류성능에 미치는 영향을 조사 분석하였다. 분류시스템의 특징으로 염색체 길이와 염색체 밴드패턴을 대표하는 밀도 프로파일을 이용하였다. 세선화 알고리즘으로 중심축을 찾아 중심축의 길이로 염색체의 길이를 추정하고, 중심축 상의 밝기 변화로 밀도 프로파일을 추정하였다. 기존 세선화 알고리즘은 양끝 부분의 중심축을 찾을 수 없기 때문에 중심축을 확장하였고, 잡음의 영향을 줄이기 위하여 중심축 방향이나 수직 방향 필터를 적용한 밀도 프로파일을 추출하여 염색체 분류 성능을 비교분석하였다. (주)GenDix에서 제공된 염색체 4561개를 이용하여 3-NN 분류 방법으로 정확도를 분석하였다. 실험결과 중심축을 확장하고 수직 방향 필터를 적용한 밀도 프로파일 추출 방법이 약 13% 성능향상을 보였다. This work presents the performance comparison according to the density profile extraction methods for the automated chromosome classification system based on banding pattern. Chromosome length and density profiles were chosen as the features for the classification system. They were estimated from the medial axes of the chromosomes that were detected by the conventional thinning algorithm. The extracted medial axes extended to the boundaries, because they do not cover both ends of chromosomes. Also filters applied along or perpendicular to the medial axes to reduce the noise. This paper investigated the classification performances of the above feature extraction methods. The dataset consists of 4561 chromosomes were supported by Gendix. Classification method used 3-NN. Experimental result showed that employing the extension of the medial axis and the vertical filter improved performance by 13%.